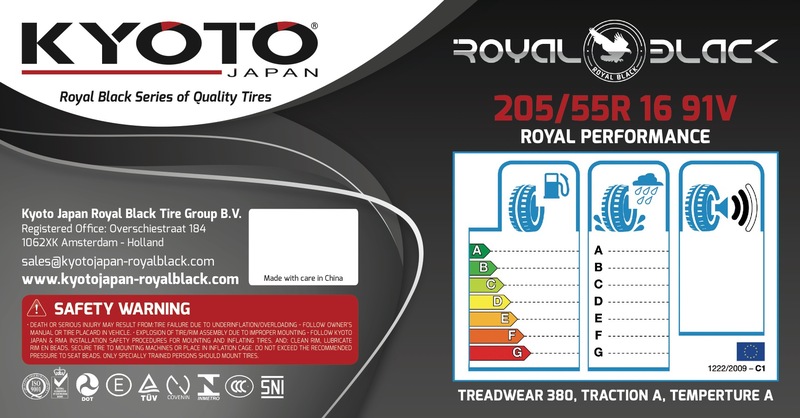 About Us - Kyoto Japan Royal Black Tire Group B.V.
Kyoto Japan Royal Black is a joint venture between Kyoto Japan Tire Group and Qingdao Royal Black Tire Company of China based in Holland. The new operation focuses the European market based on the longstanding experience of Kyoto Japan and the manufacturing skills of Royal Black. All tires are produced under strict quality control based on latest manufacturing technology and modern equipment and they comply fully with EU certifications for REACH. Kyoto Japan Royal Black have set-up European logistics centres in Antwerp, Holland & Germany for prompt delivery to their European clients.